The DB11 has had a "transformational" effect, Aston Martin CEO Andy Palmer says. LONDON -- British luxury carmaker Aston Martin reported a sharp rise in losses on Friday, failing to turn a profit for the sixth year running, but said the launch of the DB11, its first new model since restructuring, caused sales to surge at the end of 2016. The company said the 27 percent increase in pre-tax losses to 162.8 million pounds ($200 million) last year was largely due to the impact of the lower pound on financing costs and a write down on old tooling and IT equipment. But the automaker said sales rose nearly 50 percent in the final quarter as its new DB11 hit major markets. Aston Martin, which posted a 1.9 percent increase in full-year sales to 3,687 cars, has lagged behind rivals such as Ferrari and McLaren in recent years and is now updating its range of luxury sports cars to widen its appeal. The company, owned mainly by Kuwaiti and Italian private equity firms, is also building a new plant in Wales as part of a 200 million-pound ($250 million) investment to increase its range with a new crossover SUV model, the DBX. CEO Andy Palmer told Reuters that with the boost in demand expected from the introduction of the DB11 and other new models the firm expects to return to profitability by next year. 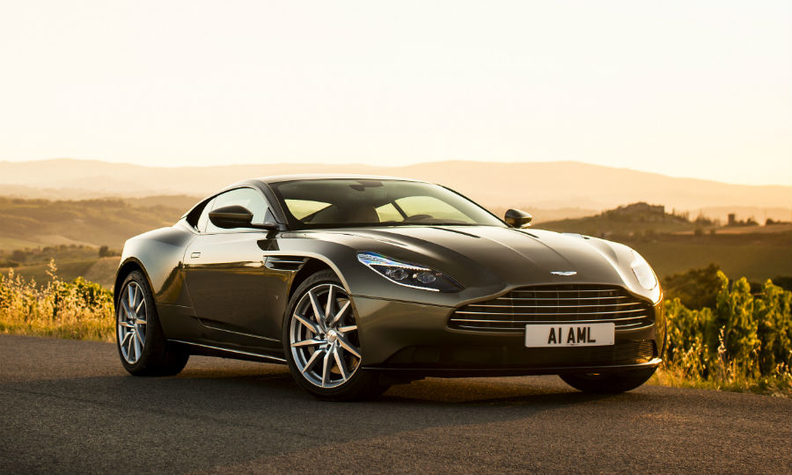 "I think it's fairly easy to see the transformational effect the DB11 has on the brand. Obviously that's going to be reiterated many times over now with Vantage and Vanquish replacements," he said. "When I talk about 2018, that was basically the end of the renewal of the core products and we will be profitable if not before." The firm, which builds all of its cars in Britain and mostly for export, said the roughly 15 percent fall in the pound against the euro and the dollar since Brexit had overall been "overwhelmingly positive" for the company.